For several years I have been living with the hope that it would be possible to map all the specialist provision around the country for families experiencing violence and abuse from their children. I suppose initially my reasoning was all a bit vague: I suspected there was more work going on than we knew about, but I rather hoped that it would be a way of connecting people and also make my life easier when people contacted me (as they did me and others on a regular basis) asking for help in knowing where to turn. Over the course of the two years it’s taken to reach this point, the rationale has become more formalised, and a fantastic steering group has supported the work as it transformed into a “proper project” with money and everything. I am now 5 months in to what was originally envisaged as 6 months worth of work. The reality is that it will carry on for a few more months in order to chase up the remaining projects we know about and complete final reports, but the time has come to launch the map. If not now, when! The software package used at the moment, Community 21, is part of a separate project within Brighton University (CUPP). Using the map you will be able to locate a specialist service by area, or name; and to learn about the model of work offered, methods of referral and any evaluation that as taken place. You will see if anyone can refer or whether it is a service offered internally; any age criteria, and whether the project works with young people only, parents only or both. The map will help families and practitioners looking for a service in their area. The map will enable agencies to network, whether in the development or coordination of services. 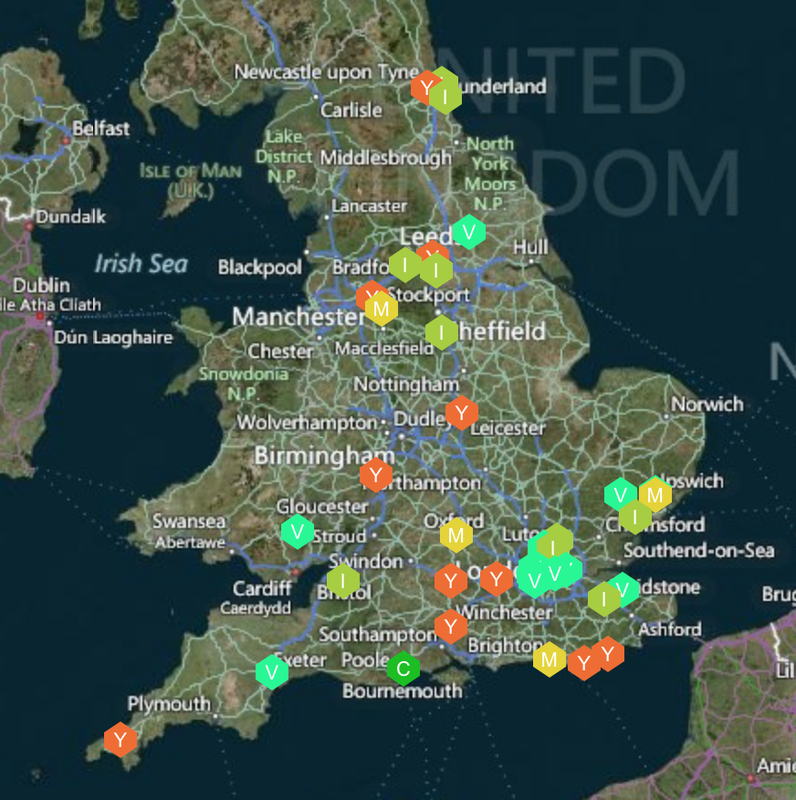 The map will enable agencies and practitioners to locate projects which can offer training. The map will enable commissioners to understand the gaps in provision and to look at the development of services strategically. Other interested parties will have a fuller picture of what is going on. There is as yet no method of assessing standards of work or quality assurance. Those using the map should understand that it merely indicates the presence of a service and we cannot officially endorse any project. We have not as yet figured a way of including services that are offered in a different way, for example telephone support from national agencies. It does not yet include individual practitioners / counselors offering a service to families. It isn’t 100% comprehensive. At the moment it only covers England and Wales. I know there are services still not included! Simply follow this link to the page which shows our project. You will find “our map” and then some information about the project and the people involved. You can zoom in and out on the map to see different parts of England and Wales, and you can do some basic searches by the type and name of the service. Click on the different coloured ‘hexes’ to see a project in detail. The twitter feed @mapping_cpv is there too. There is still some way to go. The next few months will be spent following up existing leads, and scoping new ones as always. Much of this work takes place through contacts passing on names of colleagues, so all contributions are very welcome. A big question remains as to how to keep the information up to date and relevant. This is particularly an issue when so many services face massive budget cuts or regular renewal of charitable funding. Would it be useful to you? Can you immediately identify any issues or changes we could make? Can you suggest ways of building on what is already there? Do you have a service that is not yet included? I cannot end this without a huge vote of thanks to the wonderful Steering Group, which comprises: Dr. Paula Wilcox from University of Brighton, Jo Sharpen of AVA, Dunston Patterson from the YJB, and Julia Worms of Respect. Regular updates will continue as the project completes and reports become available.